It doesn’t take a genius to know the difference between lazy and creative. Though I must admit that the former sometimes bring to the latter. Well I know that these sweet spring rolls are closer to lazy than creative, but hey in my case, when you have abandoned fermented cassava that were stucked in refrigerator for God knows how many days but you are too lazy to take the mixer get out of some place - for God shake I forgot where I put my mixer - and you also have long forgotten spring roll wrapper in freezer but your stomach is so much craving for something sweet to nibble to calm your inner self, what would you do rather than making the most easiest snacks of all time? I actually was thinking about fermented cassava cake with full of shredded cheese on top of it (this will be my next post!). But rather than looking for my mixer that probably hidden in my son’s toys container, let’s use those hidden stuffs in refrigerator and forget about the long making cake, shall we? 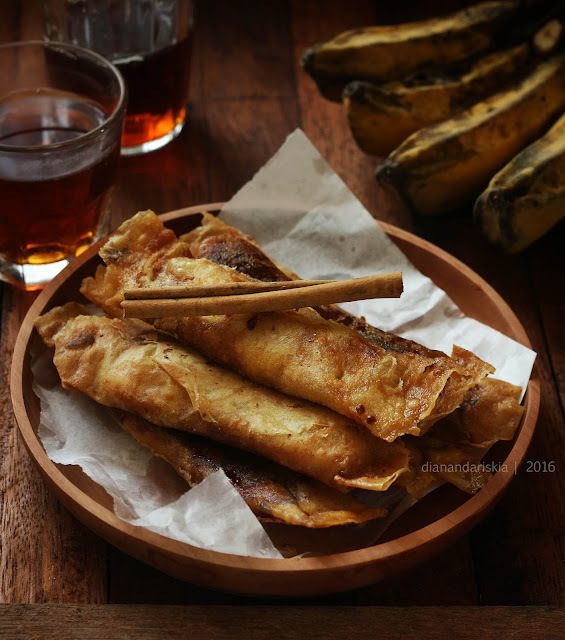 First I made Cheese and Fermented Cassava Spring Roll and Caramelized Banana Spring Roll. Don’t bother by their name, they sound so sophisticated, but trust me, this won’t take more than 30 minutes from preparations till fry them. And take much faster time to dig them in. 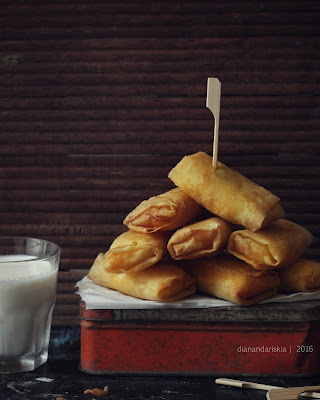 Take 1 tbsp mashed fermented cassava in spring roll, add cheddar then roll and seal the corner with tapioca mixture. Deep fry them till golden brown. Or in my case, make a big batch of it and simply keep them in freezer as saving grace in your lonely days. 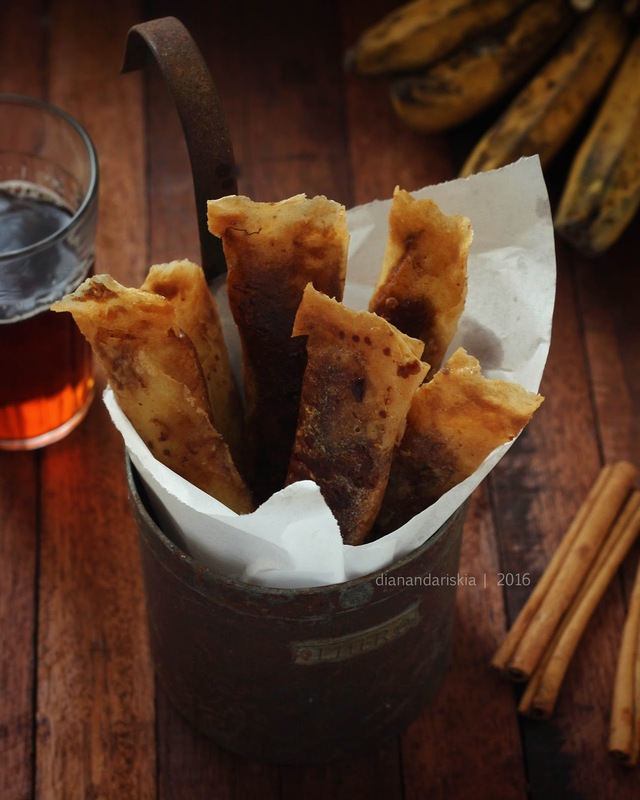 Put a slice of banana in wrapper, add 1 tsp palm sugar mixture, roll and sealed with tapioca mixture. Deep fried. Enjoy with bitter tea to examine the bitter sweet of life.